For groups of 15 or more we offer a special group discount. For the convenience of your group we have also developed a group menu from which group leaders may select meals. Motorcoaches are permitted to unload in front of the main entrance building where the tour originates. Ample parking is available for these vehicles. This tour lasts approximately one hour and fifteen minutes. Please allow additional time if you plan to eat in our restaurant. Advance reservations are required for the tour and for the meal program. A group menu is available upon request. For the convenience of your group, we have developed a group menu from which group leaders may select meals. Reservations are required for groups that participate in this meal program. Motorcoaches are permitted to unload in front of the main entrance building where the tour originates. Ample parking is available for these vehicles nearby. 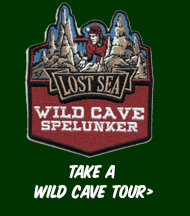 For school groups the Lost Sea Adventure offers a highly educational tour. 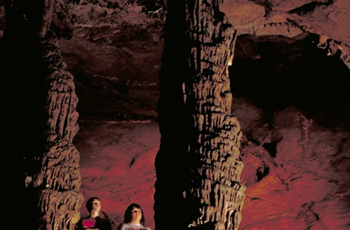 Along with the fun of the cavern and boat ride we focus on the historical and geological standpoints of the cave. We have teacher information packets available to help the teachers prepare their students for what they will see in the cave. This tour lasts approximately one hour and fifteen minutes. Advance reservations are required for this tour. Along with the educational tour we offer an extended tour. These rates apply to groups of 15 or more. Reservations are required. Complimentary admission to bus drivers or tour escorts. Along with the boat ride and cavern tour you will experience one undeveloped section of the cave. This adds quite a bit of excitement to the tour. This tour lasts approximately one hour and thirty five minutes.